Most of us would know that PuTien brand name has its roots traced in Putian, a beautiful coastal town in the Fuijian province of China. 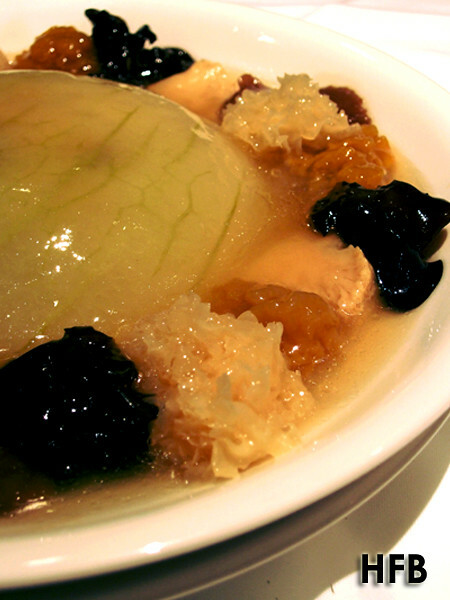 And all thanks to founder and CEO of PuTien , Mr Fong Chi Chung that one is able to appreciate the Heng Hwa cuisine – which is easy and clean on the palate as one can see from the dishes that were presented to HFB for PuTien’s Refreshing Summer Menu, that will be available from now till end August. 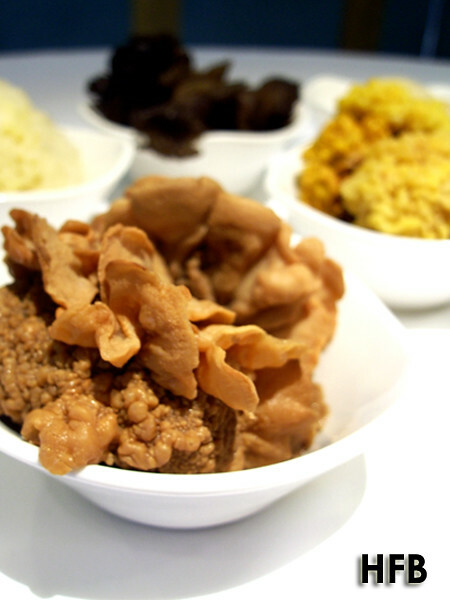 HFB was first introduced to the various ingredients of their summer dishes, but HFB was drawn to that of the various varieties of Yunnan wild fungus and mushrooms – including that of the Rooster Comb Mushroom in the foreground that was said to have the texture, and often the taste, of chicken. 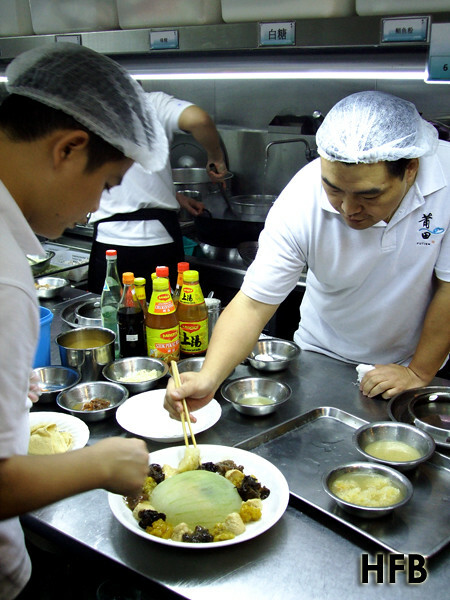 Executive Sous Chef Li Gongba also invited HFB to the kitchen for a cooking demonstration of the Winter Melon with White Fungus and Mushroom. A light and cooling dish, which is perfect for heaty summer weather, it tasted as good as it looked. HFB really enjoyed this dish, and especially the mushrooms! The contrasting textures were very delightful. 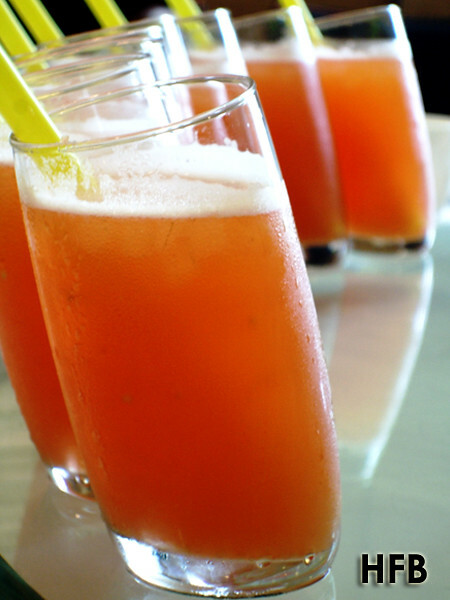 At the same time, HFB was introduced to the Summer Quencher, a refreshing drink that was combined using Aloe Vera, Cherry Tomato and Plum. It was such a perfect summer thirst quencher that HFB had two servings! 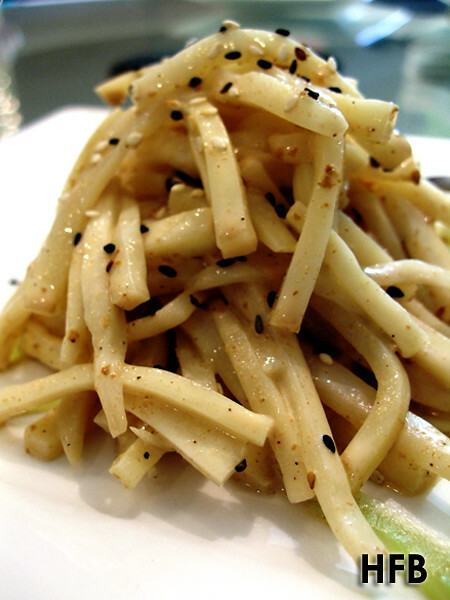 Served as a cold dish, the Fresh Water Bamboo with Sesame is an extremely popular summer vegetable dish in China. Sadly, HFB didn’t quite take to the pairing of the sauce with the bamboo. HFB was slightly amused when he was served Organic Momotaro Tomato during his course of tasting. He reckoned that it was more of Japanese ingredient, or used often than not in Western fine dining nowadays as a starter or palate cleanser. Having more accustomed to it having served with salt to accentuate the natural sweetness of the fruit, HFB didn’t quite appreciate PuTien’s version of dusting it with powdered sugar. 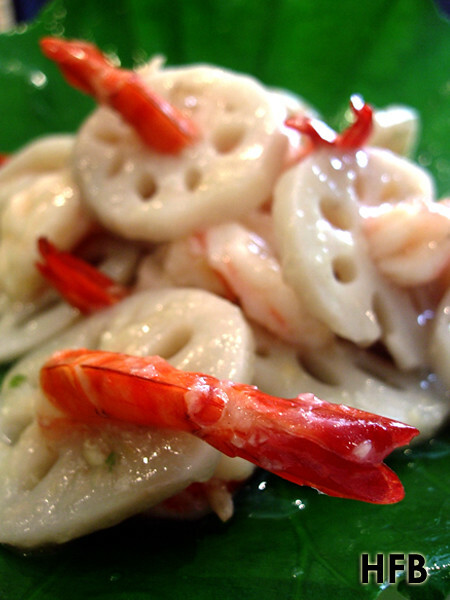 HFB is not a big fan of lotus root, but PuTien’s version of Stir-fried Lotus Root with Prawn certainly changed his mindset. 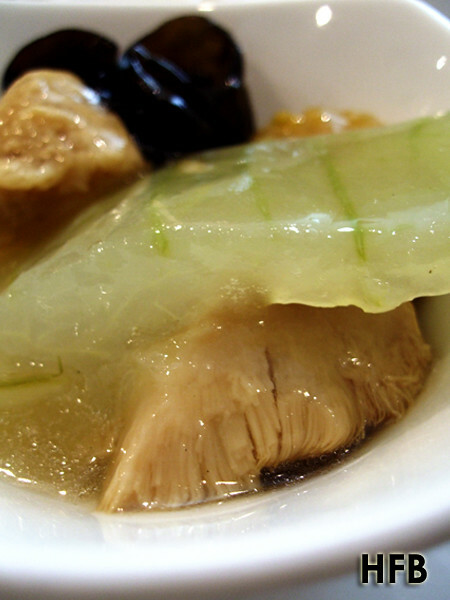 The dish came served in a nice lotus leaf, and the lotus root was really crunchy. Its texture also provided a really nice contrast to the juicy prawns. 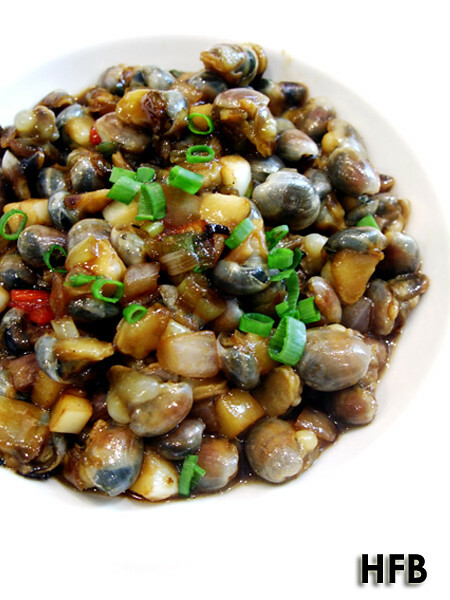 The Sauteed Sea Snails with Hua Diao Wine was such a delightful dish to savour. HFB was having fun sucking the snails and extracting its meat – steeped with the fragrance of the wine – from its very thin, almost brittle shell. A really flavourful dish HFB must say. 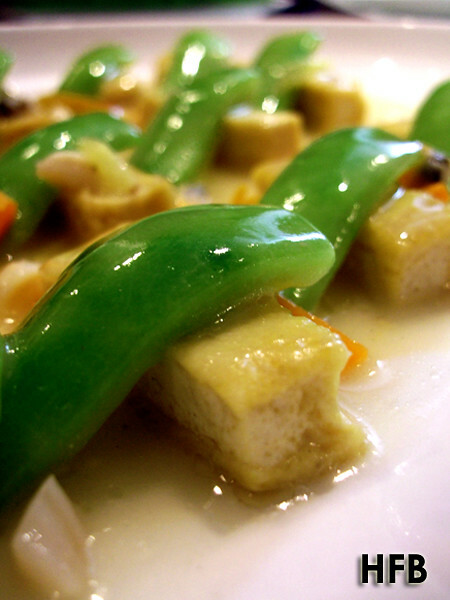 HFB was secretly anticipating this dish of Braised Luffa with Homemade Beancurd. He’s quite a sucker for homemade beancurd, and OMG he really loved the evident soy taste of PuTien’s beancurd. Paired it with the luffa and the silky sauce, and he can so imagined it going really well with rice! 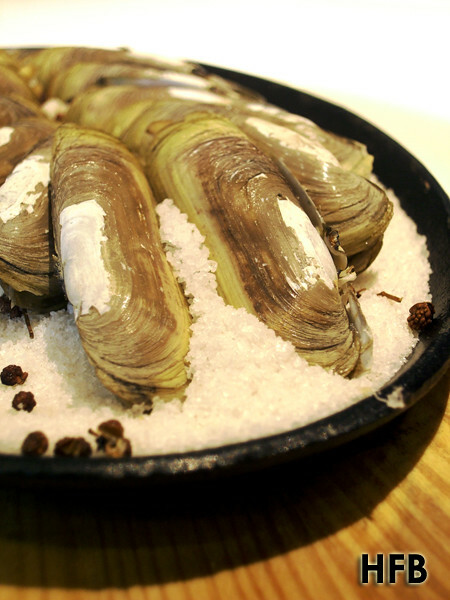 It was the first time that HFB was served Bamboo Clams Baked in Sea Salt. Quite a dish to handle as one need to pry open the shell, removed the lip of the clams before enjoying it. It was surely interesting but HFB would rather prefer it stir-fried or steamed. 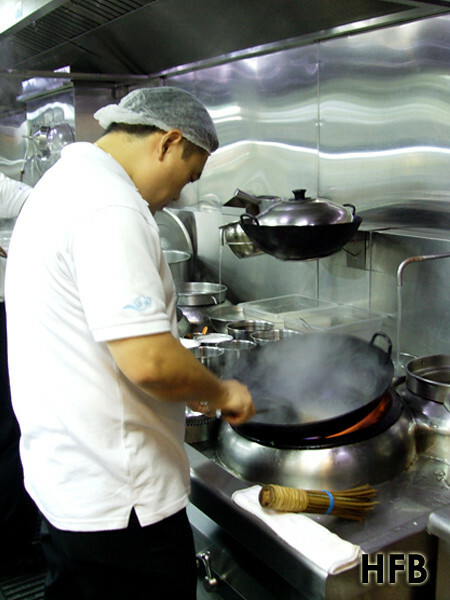 No trip to PuTien would be complete without sampling some of their signature dishes. 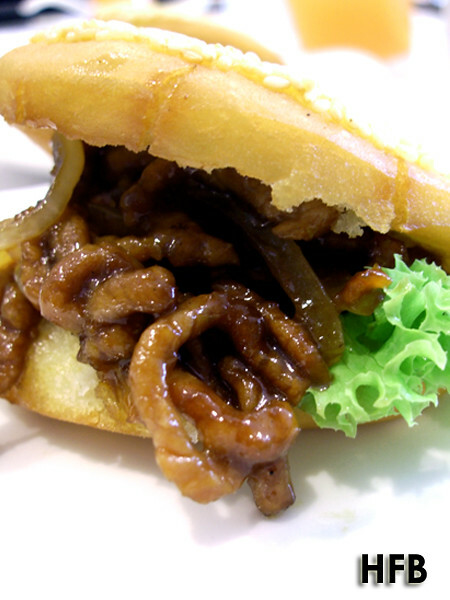 And one of them is their Shredded Meat with Bun – a dish that consisted of really flavourful shredded meat enveloped between a crisp sesame bun. HFB bet he could easily wallop a few of these bunnies if he’s really hungry! 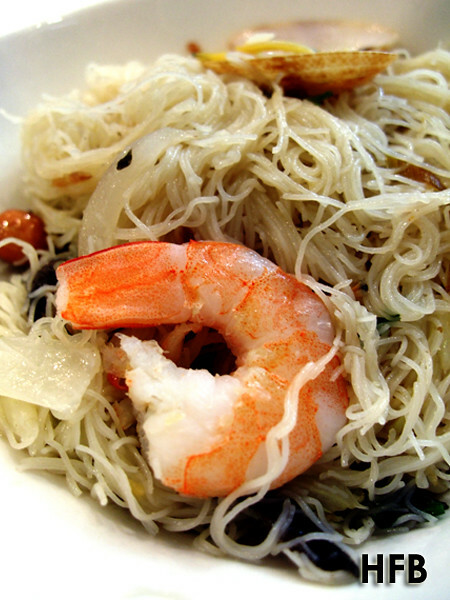 Do HFB need to say more of PuTien’s famous Fried “Hing Wa’ Bee Hoon? A trip to the restaurant without a serving of this dish is a wasted journey. Go figure! 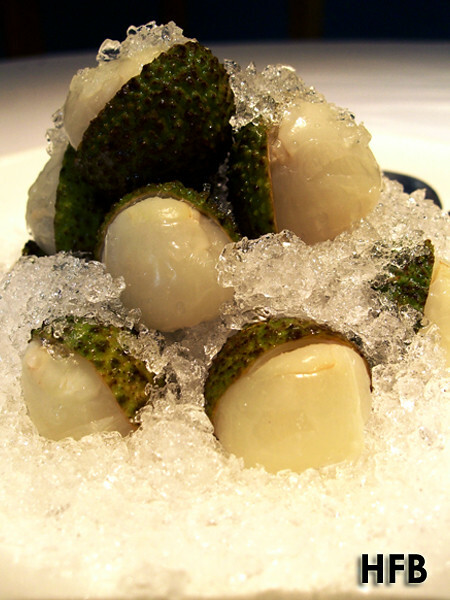 HFB had Lychees as desserts and it usually peaks towards end of summer. Not the best that he has tasted but nevertheless still refreshing and tasty. Disclaimer: No ratings would be given, as this is an invited taste test. HFB would also like to take this opportunity to thank PuTien and Ann for their hospitality. What an extraordinary line-up of dishes mate. 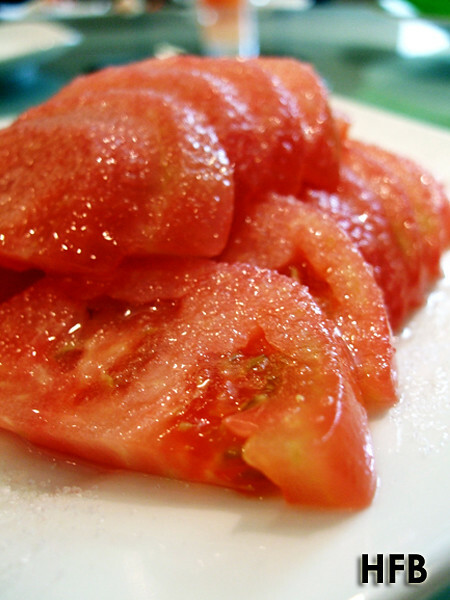 The idea of sugar on tomato leaves me cold, but the rest of the menu was inspiring. What would a meal there cost me, on average? The restaurant is pretty affordable IMHO. I reckon if you have a table of ten, with all these dishes, it wouldn't cost you more than $50 each.